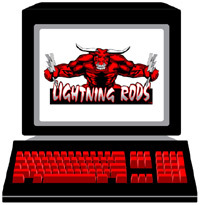 Lightning Rods™, our high energy beef sticks, are available online by our friends over at the RushStop. They proudly offer a hassle-free online shopping experience with lightning-fast shipping and great customer service. To begin shopping, simply click on one of the images below.